Lightweight, beautiful, and timeless, the Mazda RX-7 is arguably Japan’s purest sports car. 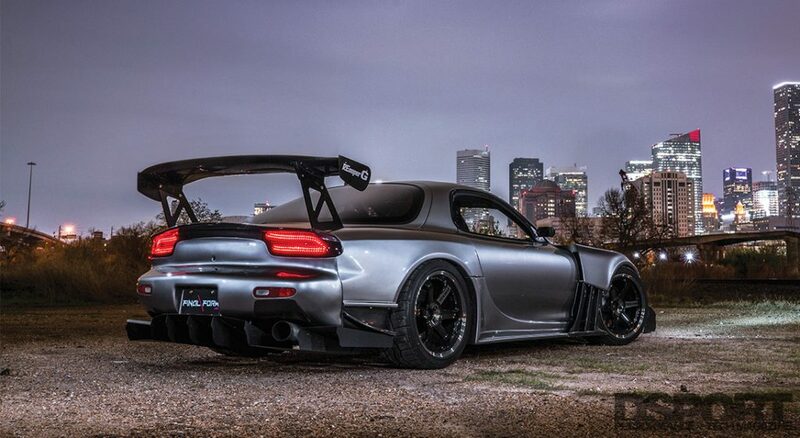 The RX-7 FD has won over many fans with its cutting edge design that features few straight lines. Its rigid chassis and capable suspension provide sharp handling. 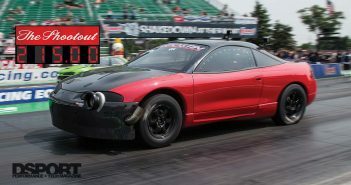 Its 2,800 pound curb weight and 255 horsepower sequentially turbocharged rotary engine delivered impressive performance. Yet, as with all things rotary, the FD does have its critics. The rotary engine showed many flaws, from a lack of torque to failing seals, and even catching on fire at times. 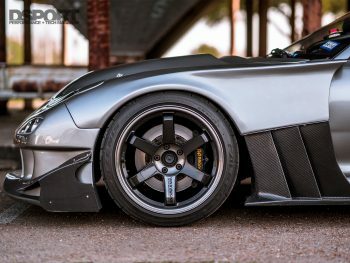 Khiem Pham grew up admiring the curvaceous style of the FD; however, he wasn’t a fan of its rotary motor. For him, the power potentials of the Supra’s 2JZ was what he always wanted. After years of feeling torn between the handling and style of the FD, and the performance of the Supra, Khiem reached a decision that will allow him to have both worlds. 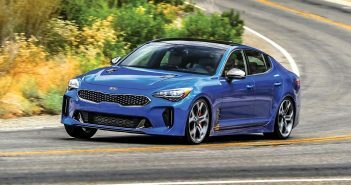 The years were kind to Khiem and the opportunity presented itself to buy one of his two dream cars. 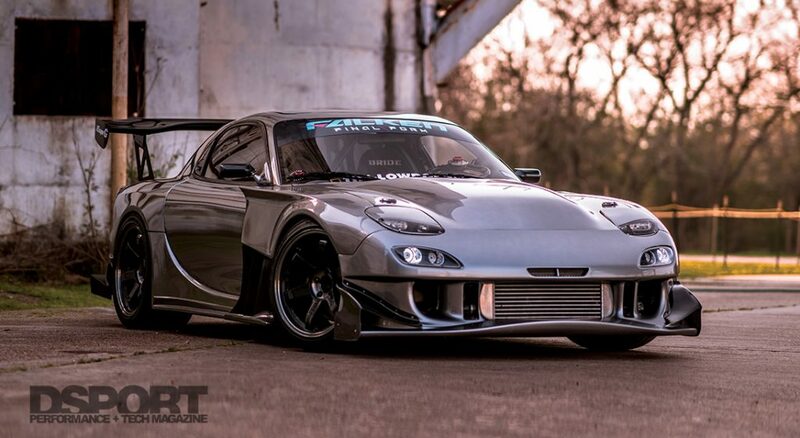 Torn between the Supra and the RX-7, he made a bold decision to let go of the idea of the buzzing sounds of the rotary engine and welcome the 2JZ-GTE heart of the Supra to combine all of his dreams in one, big, widebody Mazda RX-7 FD3S. Getting the car where he wanted was not an easy task. A friend of his found an RX-7 on sale in Colorado. Without wasting time, they drove a truck and a trailer there in hopes of going back to his home in Texas with a new FD. Khiem knew it was going to be a long road, but one that is definitely worth it. He had the project all planned out and wanted to do the majority of the work himself to finish with a build that he is truly happy with. With all sorts of opinions out there, Pham knew he had to block all the voices and do what he had in mind, regardless of how unusual it may have been. 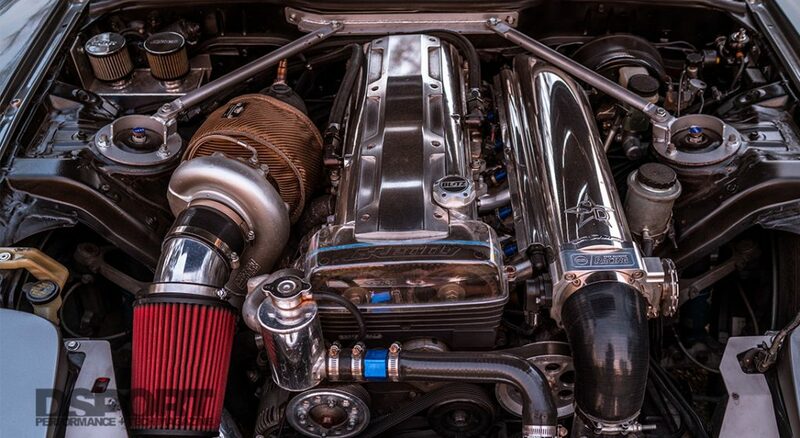 With the single turbo 2JZ-GTE in his procession, Khiem didn’t alter the engine’s internals. After all, the 2JZ motor can handle up to 800whp in its stock form. He wanted to squeeze as much power from the engine, while keeping everything clean and efficient. To get the 2JZ in place, Khiem used a Tech 2 subframe and engine mounts. He used a Tech 2 carbon hood to make more room for the 2JZ. The Tech 2 torque arm he was using broke, and the custom-made HPP 2-in-1 differential cradle brace he installed didn’t allow for a new aftermarket arm to fit, so he decided to ditch the torque arm completely and let the cradle brace hold the differential and help the casing stay together. The problems that appeared throughout the build were small prices to pay in order for Pham to accomplish his goals. With the new engine being the heart of the RX-7, Pham used its harness to connect right to a plug-and-play AEM EMS Series 2 harness. 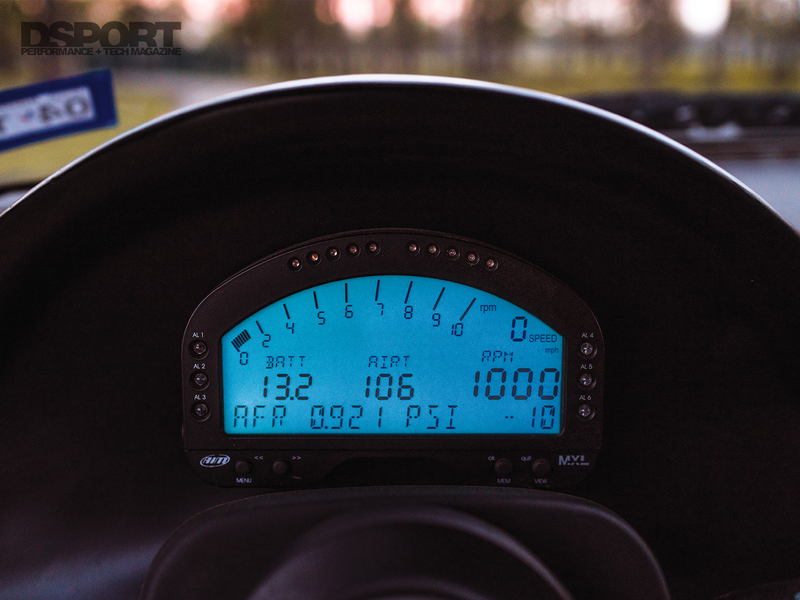 To display critical engine data, Khiem uses an AiM MXL Dash, which gets all of its data directly from the AEM EMS Series 2 ECU. As for the other electrical components such as the lights and signals, Pham didn’t have to worry about them as they connect to the chassis harness. After overcoming all of the headaches that come with an engine swap and upgrading the fuel system and the intake manifold, Khiem’s 2JZ-powered RX-7 delivers 740whp at 6,700 RPM and 620 lb-ft of torque at 5,600 RPM at 29 psi of boost using E85 fuel. 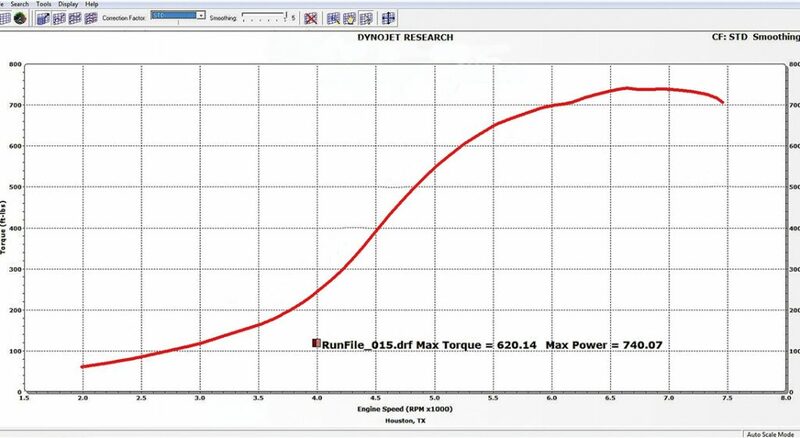 This puts his build exactly where he wanted it to be, but the job is not done until everything else on and in the car is upgraded to complement the power increase. With the significant power increase, Pham installed a set of Zeal Super Function coilovers, AP Racing big brake kit, Hawk DTC racing brake pads, and stainless steel braided brake lines to ensure the RX-7 can handle safely on the roads and the tracks. One of the best characteristics of the FD is its light weight. When Pham swapped engines, he received numerous criticism regarding increasing the weight and ruining the weight distribution. After everything is said and done, the RX-7 is 150-pounds heavier; however, Pham claims it has a weight distribution of 50.3% in the front and 49.7% in the rear. 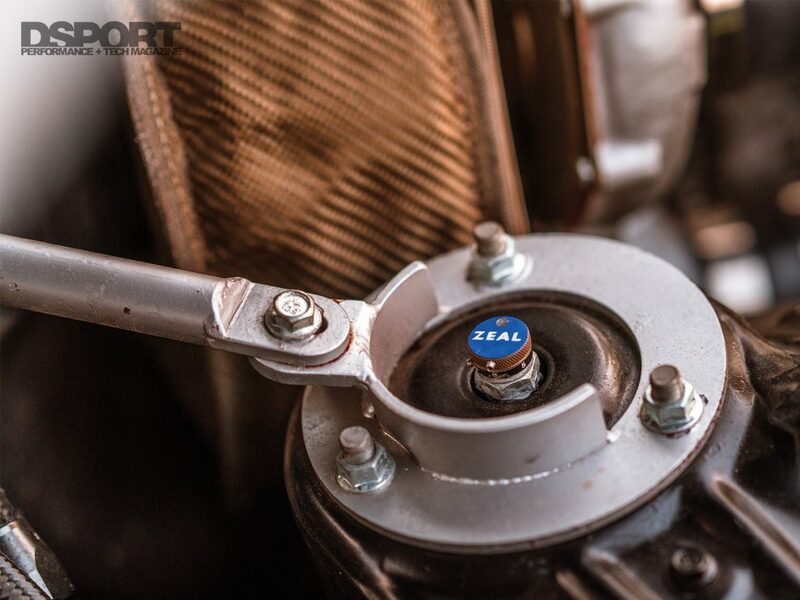 To make the 2JZ feel at home, he replaced the stock gearbox with a Toyota R154 5-speed transmission. 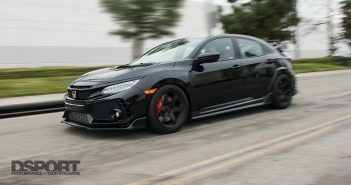 With the weight distribution near perfect, the handling is enhanced by Zeal Super Function coilovers rated at 14K to stiffen up the suspension and reduce roll during hard corners, as well as other chassis braces that tremendously decrease flex. He then removed the ABS unit to clean up the engine bay. “The car is a blast to drive,” said Pham. However, with his plans slowly shifting toward racing the FD, he has to reinstall the ABS unit for better braking on the track. The RX-7 shines when it comes to looks, but Pham had bigger plans for the sleek Japanese icon. The first step to bringing his image to life was to widen the body. Using a full TCP Magic G Face widebody kit, Pham spent months in his garage putting the kit on without anyone knowing what his plans were. The FD sits on Volk Racing wheels inside Falken RT615K+ tires. The build was rewarding in many ways, including landing him a Falken Tires sponsorship. The interior is equipped with a Kirk Racing roll bar to stiffen up the chassis and provide safety once Pham decides to tackle the race tracks. 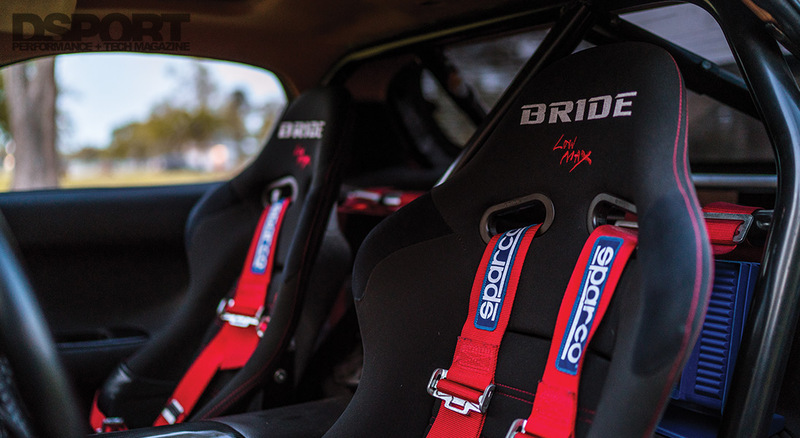 The cabin contrasts perfectly with the Sonic Titanium exterior, thanks to the bright red Sparco harnesses and the sportiness of the Bride Stradia Sport seats. 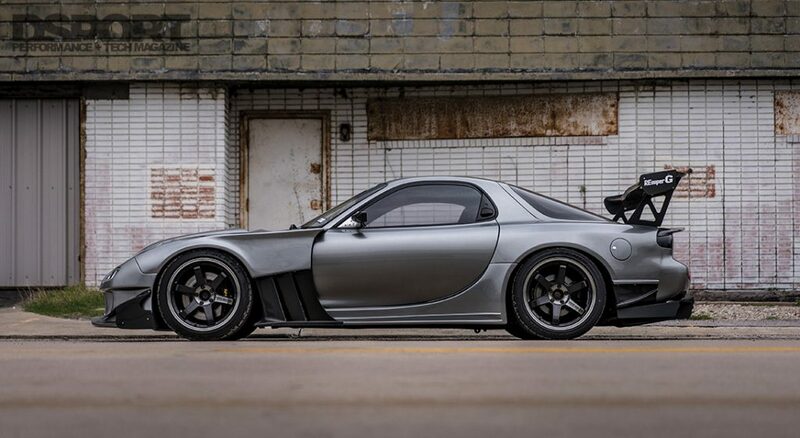 The RX-7 build may have taken a long time and a lot of money, but that’s history for Khiem Pham. To him, this project represents following a very early dream and making it a reality. The dream didn’t come easy, though, and after a few issues caused by repair shops, he learned that trying to save money and cut corners is not always the best way. This costed him hours of work, from re-doing a lot of the wiring to replacing all of the vacuum lines. “I’m proud of everything I’ve done to the car,” said Pham. “Every modification, whether it was big or small, contributed to the final result of how it looks and drives.” Today, Khiem Pham gets to drive his dream car anytime he wants, with future plans of putting it to the test on the race track.